GLITTER! 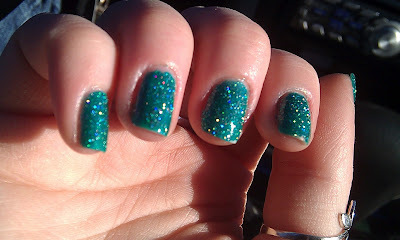 China Glaze Atlantis! 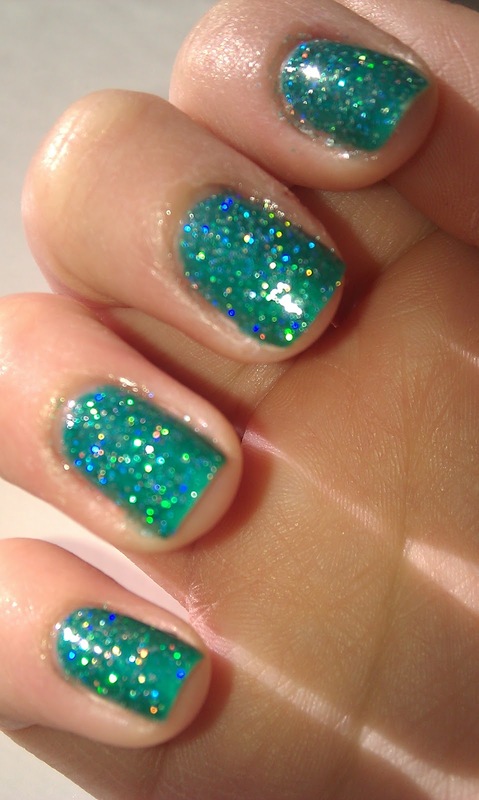 This holographic glitter suspended in a green jelly base is so sparkly and spectacular.. I was fortunate to have done this mani the night before a very nice and sunny day so my nails sparkled all over the place! It got the attention of everyone which I love because there is nothing better than someone asking, "Thats pretty, what color is that?" 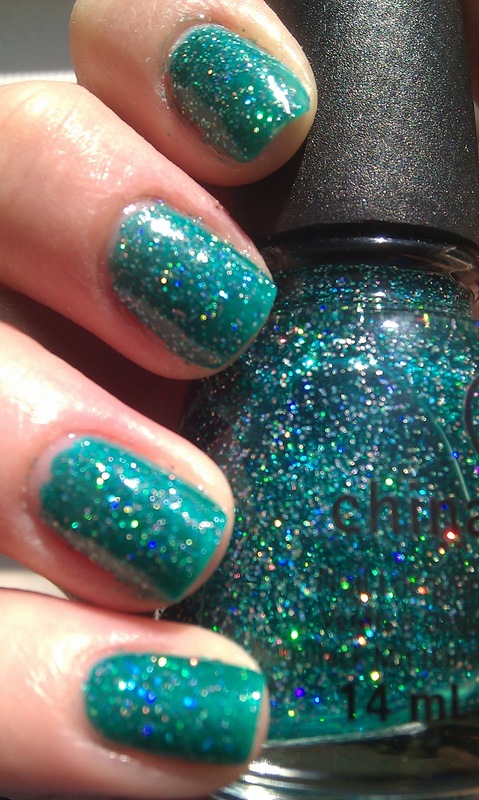 1 coat ChG Four Leaf Clover. 2 coats Atlantis. 1 coat Gelous. 1 coat Seche. Hope you like! 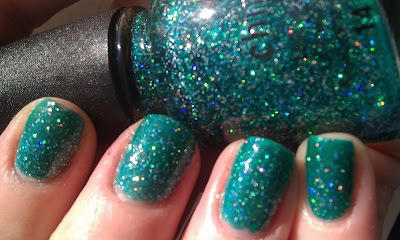 More glitter coming soon!